Hosting prices got you down? How does FREE sound? We offer FREE .NET and Linux hosting solutions! 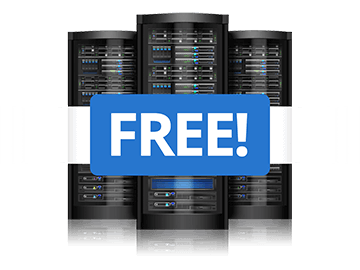 While our FREE hosting packages don&apos;t offer as much disk space or bandwidth as our paid packages, they certainly come with the same fantastic support and all the other features you would expect from a paid service. With the FREE package, you can easily host a basic business website, set up e-mail with your own domain name, create a database and much more! "Been using them for years, never looked back. Overly impressed by the support and ticketing systems. Fast & Reliable!" "In the 4 years that I have been with Namhost, they have been nothing but helpful and friendly! They have gone over and above to ensure I get assistance whenever I requested and always did so promptly. Can recommend them to anyone!" "I recommend Namhost to all my clients as their service is out of this world, never have they failed to deliver. Very fast service and always willing to help." "You guys are good... keep it up!" "Thank you very much, your service rocks." "Hands up to these guys... their service is on point. I would recommend them to anyone!" "You guys rock, very friendly services and always available for assistance, I can recommend you to anyone especially to beginners like me! 10/10"
"Thanks to Namhost for excellent service and continuous support." What is the difference between web hosting and a domain name? In order to have a website and custom email addresses you require at least one domain name and a web hosting account. A domain name is a name registered to reflect your business and/or website and will be the address where visitors can reach your website. When you register a domain name it becomes your property and becomes unavailable to anyone else for registration. You can register a domain name for up to ten years in advance, but for a minimum of one year. In order for your website to appear on the internet, the site’s files need to be uploaded to a server. These files will then be “hosted” on the server and the space it is stored on is called your hosting account. Hosting is usually billed monthly or annually. Emails are also stored on your hosting account. Domain names and hosting accounts can be obtained from various and separate entities, but it is best to register your domain and host your files and emails with the same provider. How do I place a Hosting and Domain Name order on Namhost.com? This guide will show you the process of placing an order on our website for both domain names and hosting accounts. Once you have clicked on "Checkout" you will now need to register as a new Namhost.com user. Proceed to fill out all the required details and click on "Submit" to place your order. Once your order has been placed an invoice will be emailed to you. We do the final processing once the paid amount reflects in one of our bank accounts. If you have any related queries please feel free to contact us. A domain can either be transferred to Namhost from another web host, or it can be transferred away from Namhost to another web host. Request the EPP code from them. An EPP code is an authorization code required by us to complete the transfer. Place an order for the transfer of the domain. If you place your order, please be sure to specify that you want a transfer and not a new registration and be sure to include the EPP code obtained from the previous host. Contact us and request the EPP code of the domain name as well as for us to unlock it. Once you receive the EPP code from us send this information to the new web host. Note: Please be sure to use the account holder's e-mail address to request this information. How do I upload a website to my Linux hosting space? TThe first step would be to download and install an FTP client. I recommend using Filezilla which is a free and open source FTP program that can easily be downloaded directly from the official website. It only takes a few minutes to download and install. Once you have downloaded the software, the wizard will guide you step by step through the installation process. When you first open Filezilla you'll need to setup the connection between your hosting account and the FTP program, you may also use the quick connect option but this would mean you need to re-enter the connection details every time you need to upload files to your hosting account. Click the site manager button on top as indicated by figure 1 and then on the new site button and enter a description. A good name would probably be to use your domain name for example Namhost.com, this is a good choice if you have more than one domain but you can really use any description you like. Host is where you add your domain name or server IP address. Logon Type should be set to Normal. User is the username of your hosting account. Password is the password of your hosting account. After you've enter all the details above press the connect button at the bottom to connect to you hosting account. In the right column you will find all the files located on your hosting account while on the left column you'll find all the files on your computer. In the right column enter the public_html folder which is the files that will be accessible to the internet through your domain name. Clear out anything unecesssary in that folder. On the left column browse to the files on your computer that you would like to upload to your hosting account and right click on the file/s and Then select Upload to upload them to your hosting account. Once the transfer is complete you can close Filezilla and access these files through the internet by going to your domain name using your favourite browser. Access your cPanel by going to your domain name followed by a forward slash for example www.yourdomain.com/cpanel. Once you logged in scroll down to the Files block and click on File Manager. Your File Managers option screen should open (but if your File Manger option screen does not open, don't worry as it's means these options have already been set by one of our technicians), select the Web Root option and Show Hidden Files and press the Go button. On the left column insure your are located within the public_html, all unecassary files are deleted and then click on the upload button at the top. This opens the file browser where you can select which files you would like to upload to your hosting account. Once all the files you selected have been uploaded the indication bar at the bottom will show that it's completed. You may then close the File Browser and File Manager tabs and logout from your cPanel control panel. Now if you browse to the domain name you should see the files you uploaded.